Located near the intersection of Arden Ave and Arthur Kill Rd, Extra Space Storage serves Staten Island residents near Arden Heights, Rossville, Travis-Chelsea, Heartland Village, and more. Locals will recognize our facility next to Owl Hollow Soccer Fields and Shell. 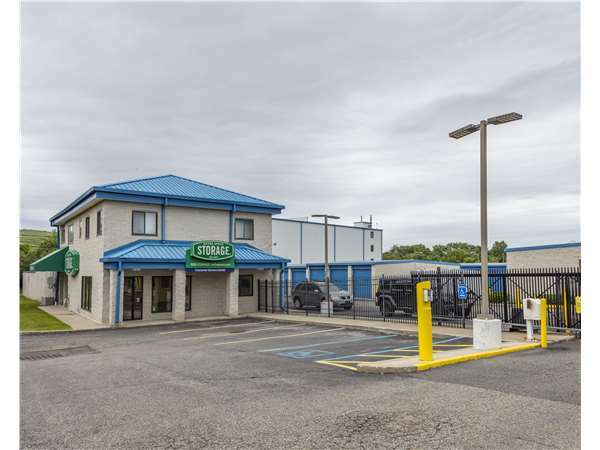 With a large selection of storage units, climate-controlled storage, vehicle storage, and exceptional security, Extra Space Storage on Arden Ave is the solution for you near Arden Heights, Staten Island! No matter what you plan to store, our Staten Island storage facility has the space for you! Unit sizes come as small as 3x5 and as large as 10x35 with features like drive-up access, first-floor access, and more. To ensure the safety of our customers and their belongings, Extra Space Storage is equipped with security measures like 24-hour video surveillance, electronic gate access, and an on-site resident manager. With climate control, your temperature-sensitive items are protected from extreme heat, humidity, and cold year-round. This amenity keeps your unit at temperatures between 55? and 80? at all times. Climate-controlled units are available in sizes 3x5 to 10x20. Extra Space Storage offers secure vehicle storage in Staten Island! We have 8x20 outdoor parking spaces, and 10x15 to 10x35 enclosed drive-up units that can handle cars, motorcycles, boats, and RVs. With a clean, secure, well-maintained facility and a friendly, professional team, Extra Space Storage is the self storage partner you can trust with your storage needs! We truly care about providing exceptional service and an incredible experience. We're here for you. Contact us today to reserve a storage unit in Staten Island! The staff is very friendly and helpful. They are always available to find you the best storage for your needs. Frank helped find the perfect space. He is very professional and helpful... I highly recommend this facility for all your storage needs. Super nice people to work with, very helpful. Storage unit and area is neat and clean. Exceeded my expectations. Very professional & courteous. Well detailed information & terrific assistance. I needed a small storage space to store a few things and the 5 X 10 unit I rented fit the bill. The entire process was very easy. I reserved online and went in to complete the process.. I highly recommend. Best storage company . The employees David Maureen and Frank were honest and professional from the very start. The place us so clean .i tried two other companies before I found Extra Storage and when I went to both of them I got a different unit. Different price and when I asked why they said oh this is a first come first serve , I said but I have a print out of my reservation . I was told by both companies I reservations mean nothing . David and Frank were very welcoming. They answered all of our questions thoroughly. 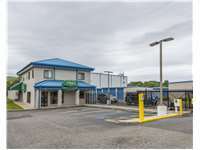 The access hours are very convenient and having a manager that lives onsite is a huge plus. I always enjoy seeing and talking with Dave and Gabby. They are very friendly and always ready to help me. This is why I keep coming back and wouldn't go any where else ! I called last minute for a unit with no knowledge of ever using a storage facility. I spoke to Dave who was very knowledgable about what size I would need. He was very quick getting me a quote. When I got there I was, to say the least, disheveled. He was very efficient, fast, knowledgable, very polite and helpful. I would refer this facility to all my family and friends. Thank you Dave for all of your help and understanding. From the moment I walked onto the premises, I knew this was the facility I would use. The central office is clean and well-kept, as well as the storage building. I felt safe walking through the halls, as opposed to previously visited facilities. Furthermore, it is not in a flood zone, which is of great importance when storing business valuables. Everything about this place is great. It's location the staff and the grounds themselves. They carry all different types of locks and other moving accessories in the front office. You have your own access I'd to get into the premises. It's not a giant maze it's very easy to get around. The facility is clean and the staff are friendly and very helpful. The site management is easy-going and the site is located in a pretty nice area that is safe. Safe , clean well lit and conveniently located . Am a very satisfied customer. The facility is very clean and close to my house. The employees in the office are very pleasant to work with and helpful with all my needs.When I had to move, they had all the supplies I needed to pack my things and all the merchandise was at a reasonable price. The manager also lives onsite which is a plus. Overall, excellent service. STORAGE WAS THE LAST THING ON MY MIND, BUT I WOULD PASS THE FACILITY EVERY NOW AND THEN, SO I WENT IN AND WAS GIVEN A TOUR. I WAS HOOKED, GREAT IDEA, GREAT PLACE. the place is clean, and location was good for me. although i am happy, i feel it's a little pricy, i was in a rush, and i didn't have the time to shop around. FACILITY IS GREAT. MANAGEMENT IS FRIENDLY AND HELPFUL. We leave our car here for 3 or 4 months a year while we are overseas. We NEVER worry about it because we know it will be safe. The personel are great to deal with and the entire Extra Space organization is top-notch. 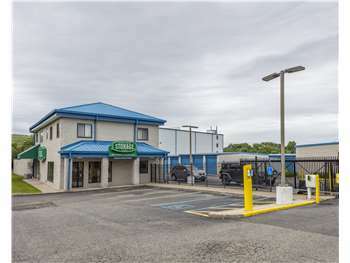 Every once in a while we use another facility--like the one in King of Prussia, PA and the one in Atlantic City on Delilah Ave. and it's just as good. I love dealing with Extra Space. I like how the facility is well kept. However, my unit does not have a light which I find strange because my previous unit had it. Other than that, I'm satisfied. Drive south on NY-440. Take exit 5 and continue onto West Service Rd. Turn left onto Arden Ave. Our facility will be on the left after you pass W Shore Expy. Drive north on NY-440. Take exit 4 and turn right onto Arthur Kill Rd. Turn left onto Arden Ave. Our facility will be on the right before W Shore Expy. Drive northwest on Arden Ave. Pass Korean War Veterans Pkwy and continue straight. Pass Arthur Kill Rd then our facility will be on the right.